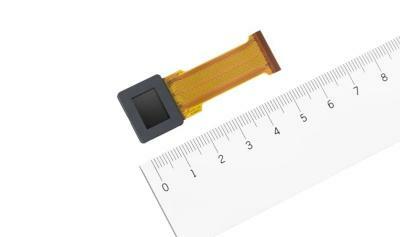 The new microdisplay uses a new drive circuit design, that operates at half the voltage of Sony's previous microdisplays. The new microdisplay features the same power consumption of Sony's older generation 0.5" display even though the resolution is much higher. In this new display Sony also updated the production process and it now deposits the color filters directly on the silicon substrates - which results in larger viewing angles.